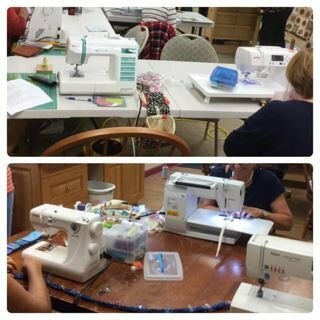 FREE - Sit and sew away from home! Bring your sewing machine and your sewing/cutting supplies/tools, your WIP (work in progress), hand projects, or start a new project! A staff member will be present to offer help with your projects. Note: This is not an instructional class. It is simply a sit and sew day - meeting new and old friends while working on your projects! Call the shop to register. Limited to 10 people - Call the shop to pre-register soon!